Michigan DNR Boating Access Site and Boat Launch. 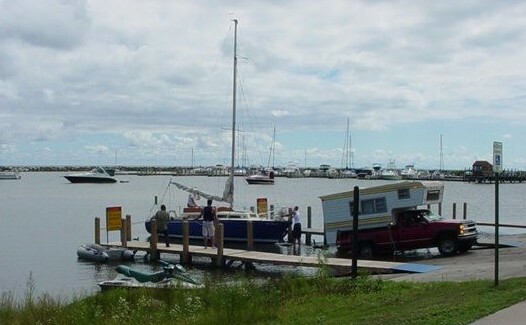 Located off Lake Street on the Harbor in Harrisville, the boat launch consists of two large parking areas able to accomodate 130 vehicles, a hard surfaced launch ramp with sufficient water depth to accomodate most trailerable boats, and toilet facilities. The channel leading out from the launch was also dredged in 2014. It is available for day use only.